本文设计了一种高-低卫星跟踪卫星、低-低卫星跟踪卫星和卫星重力梯度测量相结合的新型重力测量卫星系统，其可在一定程度上发挥卫星重力梯度和低低卫星跟踪卫星两种测量模式各自的优势.基于重力卫星系统指标设计的半解析法，深入分析了不同重力测量卫星系统配置和不同观测量及其不同白噪声水平情况下，新型卫星重力测量模式反演重力场模型的能力.数值模拟分析结果表明：在观测值精度和星间距离相同的条件下，轨道高度是影响重力场反演精度的关键因素；随着星间距离的增大，高频重力场信号反演精度会先提高后降低，轨道高度在200~350 km之间时，星间距离在150~180 km之间时反演精度最优；星间距离变率和卫星重力梯度两类观测值仅在某些精度配置时可达到优势互补，如果某一类观测值精度很高，则另一类观测值在联合解算时贡献非常小或者没有贡献.在300 km轨道高度，若以GRACE和GOCE任务的设计指标1 μm·s-1/√Hz和5 mE/√Hz来配置新型重力测量卫星系统中星间距离变率和引力梯度观测值的精度，联合两类观测值解算200阶次模型大地水准面的精度比独立解算分别提高1.2倍和2.8倍.如果以实现100 km空间分辨率1~2 cm精度大地水准面为科学目标，考虑卫星在轨寿命，建议轨道高度选择300 km，星间距离变率和卫星重力梯度的精度分别为0.1 μm·s-1/√Hz和1 mE/√Hz.本文的研究成果可为中国研制自主的重力测量卫星系统提供参考依据. A new satellite gravimetry mode combining SST-hl, SST-ll and SGG is proposed in this paper. This mode can benefit from advantages of the SST-ll and SGG modes to a certain extent. The ability to recover the gravity field model using the new satellite gravimetry mode is analyzed in detail based on the semi-analytical approach used for the indicator design of the satellite gravimetry system. The different parameter settings of the gravity measurement satellite systems, different observations and corresponding different white noise levels are considered in the test.The results of numerical simulation show that the orbital height is the key factor that affects the ability of recovering the gravity field in the same condition with the same observation accuracy and inter-satellite range. With the increase of inter-satellite range, the accuracy of inversed high-frequency gravity field signal will be improved first and then decreased. And the optimal inter-satellite range is between 150 km and 180 km when the orbital height changes from 200 km to 350 km. The inter-satellite range rate and the satellite gravity gradients are complementary to each other only in certain precision configurations. If the accuracy of one type of observations was very high, another type of observations would contribute not too much or don't contribute to the combined solution.When the inter-satellite range rate observations have high accuracy, almost all frequency bands of the gravitational field model are contributed by the inter-satellite range rate of observations. At the orbit height of 300 km, when the accuracies of the inter-satellite range rate and gravitational gradient observations in the new gravimetric satellite system are 1 μm·s-1/√Hz and 5 mE/√Hz, respectively which correspond to the design indicators of GRACE and GOCE missions, and the accuracy of the recovered gravity field model up to the degree and order 200 is 1.2 times and 2.8 times higher than the ones derived independently. In order to realize the scientific objective of 1~2 cm accuracy geoid with the 100 km spatial resolution, the proposed orbital height is 300 km in terms of the satellite operating life. And the corresponding accuracies of the inter-satellite range rate and the satellite gravity gradient are 0.1 μm·s-1/√Hz and 1 mE/√Hz, respectively. The research results of this paper could be a technique reference for developing the autonomous gravity measurement satellite system of China. 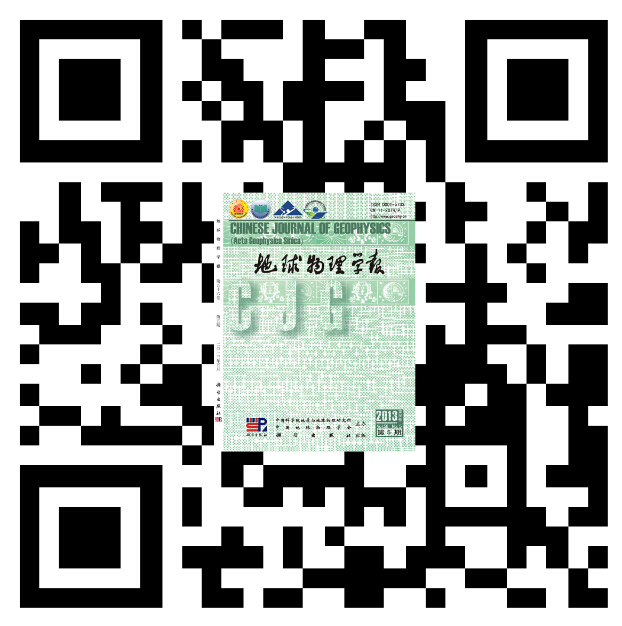 国家重点基础研究发展计划（2013CB73302），国家自然科学基金（41574019），DAAD The matic Net work Project（57173947）和高分遥感测绘应用示范系统（一期）项目联合资助. Bender P L, Hall J L, Ye J, et al. 2003. Satellite-satellite laser links for future gravity missions. Space Science Reviews, 108(1-2):377-384. Bender P L, Wiese D N, Nerem R S. 2008. A possible dual-GRACE mission with 90 degree and 63 degree inclination orbits.//Proceedings of the 3rd International Symposium on Formation Flying, Missions and Technologies. Noordwijk, The Netherlands:ESA. Bock H, Jäggi A, Beutler G, et al. 2014. GOCE:precise orbit determination for the entire mission. Journal of Geodesy, 88(11):1047-1060. Cesare S, Sechi G. 2013. Next generation gravity mission.//Distributed Space Missions for Earth System Monitoring. New York:Springer, 575-598. Einarsson I. 2011. Sensitivity analysis for future gravity satellite missions. Potsdam:Deutsches GeoForschungs Zentrum GFZ. Elsaka B. 2010. Simulated satellite formation flights for detecting the temporal variations of the earth's gravity field. Germany:University of Bonn. Elsaka B, Raimondo J C, Brieden P, et al. 2014. Comparing seven candidate mission configurations for temporal gravity field retrieval through full-scale numerical simulation. Journal of Geodesy, 88(1):31-43, doi:10.1007/s00190-013-0665-9. ESA. 1999. Gravity Field and Steady-State Ocean Circulation Mission. Report for mission selection of the four candidate earth explorer missions, ESA Publications Division. SP-1233(1) ESA. Flury J, Bettadpur S, Tapley B D. 2008. Precise accelerometry onboard the GRACE gravity field satellite mission. Adv. Space Res., 42(8):1414-1423, doi:10.1016/j.asr.2008.05.004. Gruber T, e. motion Team, NGGM Teams. 2011. Recent Studies on Future Gravity Field Missions in Europe:e. motion vs. NGGM.//GRACE Science Team Meeting, Austin. Kaula W M. 1966. Theory of Satellite Geodesy. Waltham Massachusetts:Blaisdell Publishing Company. Loomis B D. 2009. Simulation study of a follow-on gravity mission to GRACE. Colorado:University of Colorado at Boulder. Panet I, Flury J, Biancale R, et al. 2013. Earth System Mass Transport Mission (e.motion):A concept for future Earth gravity field measurements from space. Surveys in Geophysics, 34(2):141-163. Reigber C, Lühr H, Schwintzer P. 2002. CHAMP mission status. Advances in Space Research, 30(2):129-134. Rummel R, Yi W Y, Stummer C. 2011. GOCE gravitational gradiometry. Journal of Geodesy, 85(11):777-790. Schrama E J O. 1989. The role of orbit errors in processing of satellite altimeter data. Neth. Geod. Comm., Publications on Geodesy, no. 33. Delft. Sharifi M A, Sneeuw N, Keller W. 2007. Gravity recovery capability of four generic satellite formations.//Kilicoglu A, Forsberg R, eds. Proceedings of the 1st International Symposium of the International Gravity Field Service, General Command of Mapping. Sheard B S, Heinzel G, Danzmann K, et al. 2012. Intersatellite laser ranging instrument for the GRACE follow-on mission. Journal of Geodesy, 86(12):1083-1095, doi:10.1007/s00190-012-0566-3. Sneeuw N. 2000. A Semi-analytical Approach to Gravity Field Analysis from Satellite Observations. Munich, Germany:Institut für Astronomische und Physikalische Geodäsie, Technische Universität München. Sneeuw N, Schaub H. 2005. Satellite clusters for future gravity field missions.//Jekeli C Bastos L Fernandes J, eds. Gravity, Geoid and Space Missions. Vol. 129. Berlin, Heidelberg:Springer, 12-17. Tapley B D, Bettadpur S, Watkins M M, et al. 2004. The gravity recovery and climate experiment:Mission overview and early results. Geophys. Res. Lett., 31:L09607, doi:10.1029/2004GL019920. Visser P N A M, Sneeuw N, Reubelt T, et al. 2010. Space-borne gravimetric satellite constellations and ocean tides:aliasing effects. Geophys. J. Int., 181(2):789-805. Watkins M, Gross M, Tapley B, et al. 2010. GRACE follow-on mission status.//AIAA Space 2010 Conference & Exposition:‘Future Earth Science Missions and Enabling Activities’. Anaheim CA, USA. Wiese D N, Folkner W M, Nerem R S. 2009. Alternative mission architectures for a gravity recovery satellite mission. Journal of Geodesy, 83(6):569-581. Xu X Y, Li J C, Jiang W P, et al. 2009. The fast analysis of the GOCE gravity field.//Observing our Changing Earth. International Association of Geodesy Symposia. Berlin Heidelberg:Springer, 133:379-385. Zhao Q. 2012. Methodology research and simulation analysis of the earth's gravity field determination using satellite formation (in Chinese). Wuhan:Wuhan University. Zheng W, Xu H Z, Zhong M, et al. 2010. Efficient and rapid estimation of the accuracy of future GRACE Follow-On Earth's gravitational field using the analytic method. Chinese Journal of Geophysics (in Chinese), 53(4):796-806, doi:10.3969/j.issn.0001-5733.2010.04.004. 郑伟, 许厚泽, 钟敏等. 2010. 利用解析法有效快速估计将来GRACE Follow-On地球重力场的精度. 地球物理学报, 53(4):796-806, doi:10.3969/j.issn.0001-5733.2010.04.004. 宋世荣, 卢贵清, 方剑. 欧亚板块均衡大地水准面异常及其动力学特征[J]. 地球物理学进展, 2017, 32(3): 1029-1033. 祝竺, 白彦峥, 段小春, 廖鹤, 赵艳彬. 卫星重力梯度测量中星载重力梯度仪潜在测量精度研究[J]. 地球物理学进展, 2017, 32(2): 559-565. 吴怿昊, 罗志才. 联合多代卫星测高和多源重力数据的局部大地水准面精化方法[J]. 地球物理学报, 2016, 59(5): 1596-1607. 吴怿昊, 罗志才, 周波阳. 基于泊松小波径向基函数融合多源数据的局部重力场建模[J]. 地球物理学报, 2016, 59(3): 852-864. 祝竺, 周泽兵, 廖鹤, 赵艳彬. 卫星重力梯度测量中加速度计安装要求分析[J]. 地球物理学进展, 2015, 30(1): 22-28. 郑伟, 许厚泽, 钟敏, 员美娟. 基于GRACE Follow-On卫星重力梯度法精确反演地球重力场[J]. 地球物理学报, 2014, 57(5): 1415-1423. 郑伟, 许厚泽, 钟敏, 刘成恕, 员美娟. 基于残余星间速度法精确和快速反演下一代GRACE Follow-On地球重力场[J]. 地球物理学报, 2014, 57(1): 31-41. 刘晓刚, 闫志闯, 孙文, 周睿. 确定地球重力场模型的最小二乘配置法与调和分析法的精度评析[J]. , 2014, 29(1): 46-50. 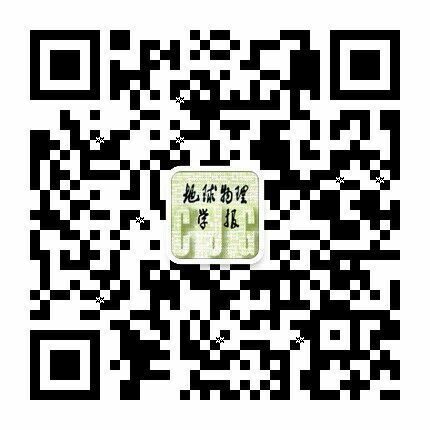 蒋光伟, 郭春喜, 田晓静, 王斌, 王文利, 聂建亮. 基于多种方法构建似大地水准面模型推估特性分析[J]. , 2014, 29(1): 51-56. 李鹏, 李振洪, 施闯, 冯万鹏, 梁存任, 李陶, 曾琪明, 刘经南. 大地水准面高对InSAR大范围地壳形变监测的影响分析[J]. 地球物理学报, 2013, 56(6): 1857-1867. 刘晓刚, 肖云, 李婧, 李迎春, 庞振兴. 低低卫－卫跟踪模式中卫星轨道高度和星间距离的指标设计论证[J]. , 2013, 28(5): 2247-2255. 刘晓刚, 庞振兴, 吴娟. 联合不同类型重力测量数据确定地球重力场模型的迭代法[J]. , 2012, 27(6): 2342-2347. 蔡林, 周泽兵, 祝竺, 高防, 许厚泽. 卫星重力梯度恢复地球重力场的频谱分析[J]. 地球物理学报, 2012, (5): 1565-1571. 刘晓刚, 吴晓平, 王凯. 扰动重力梯度张量单分量和组合分量最小二乘配置法模型的建立[J]. 地球物理学报, 2012, (5): 1572-1580. 刘晓刚, 吴杉, 王献民, 蒲亭汀. GOCE卫星重力测量中有色噪声滤波器设计[J]. , 2012, 27(3): 856-860.